I’ve had mixed experiences with the Brooks PureFlow series in the past. 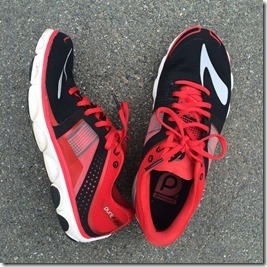 The PF1 was a solid shoe that provided a springy ride and served me well over longer distance runs. I didn’t try the PF2, but came back to the model with the PF3. Version 3 was a nice looking shoe, but I just couldn’t get the fit right. A size 10.5 was way too long, and the size 10 I swapped them for were so uncomfortable that I had to take them off after about 10 minutes and never went for a run in them. It felt like they had narrowed the shoe considerably from v1, and it’s one of the few instances I can recollect where a shoe actually made my feet ache due to a fit issue. Given my negative experience with the PureFlow 3, I was hesitant to try version 4. I wasn’t planning to buy a pair (I buy more than half of the shoes I review these days), but Brooks offered to send a media sample and I agreed (Disclosure: the shoes reviewed here were provided free-of-charge by Brooks Running). I’m glad that I did as I’ve had a very positive experience with the latest iteration of the PureFlow. Per Running Warehouse, the Brooks PureFlow 4 weighs in at 8.9 oz in men’s size 9, and sole stack heights are 22mm heel, 18mm forefoot. I wear my normal size 10 in this shoe and length is good. Though I still feel like the PureFlow last is a bit odd – kind of long and narrowish – the PF4 fits me far better than the PF3 did. I’ve run about 30-40 miles in them, with a long run of a bit over 9 miles, and comfort has been very good. This is not a wide shoe by any means, and the upper does not have a lot of give, but I have not experienced any squeezing, pain, etc. as I did in v3. The upper of the PF4 looks great. 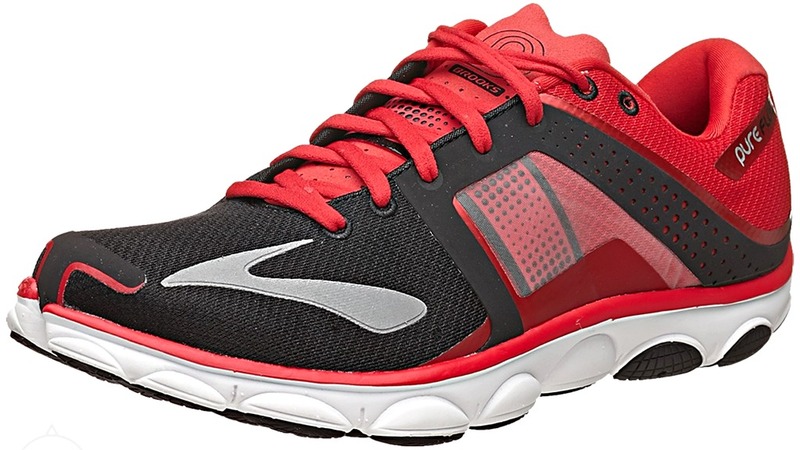 I’m a big fan of the black/red color combo, and I like the positioning of the Brooks logo on the outer forefoot. As mentioned, the mesh over the forefoot does not have much give, and this is an area that could be improved. I’d love to see Brooks use a stretchier mesh in this area. The heel region of the PF4 is rather stiff due to a substantial heel counter, but the inner lining of the ankle is incredibly smooth and comfy – love the material they used here. The tongue is well padded, and no complaints about the lacing. 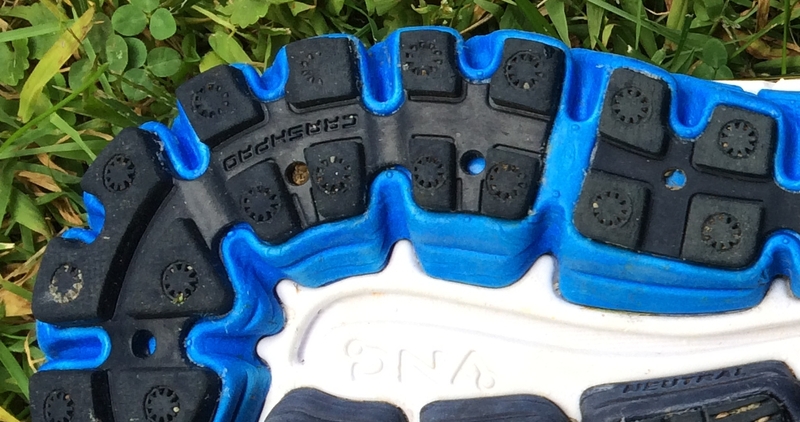 One aspect of the upper that I have consistently disliked in the PureProject shoes is the Nav Band (see photo at left). I don’t feel like it accomplishes anything that the laces don’t already handle, and it complicates an otherwise excellent upper. Brooks could ditch a little weight and simplify this shoe by getting rid of it. The sole is what really makes the PureFlow 4 shine for me (it appears that the sole is the same as that in v3). 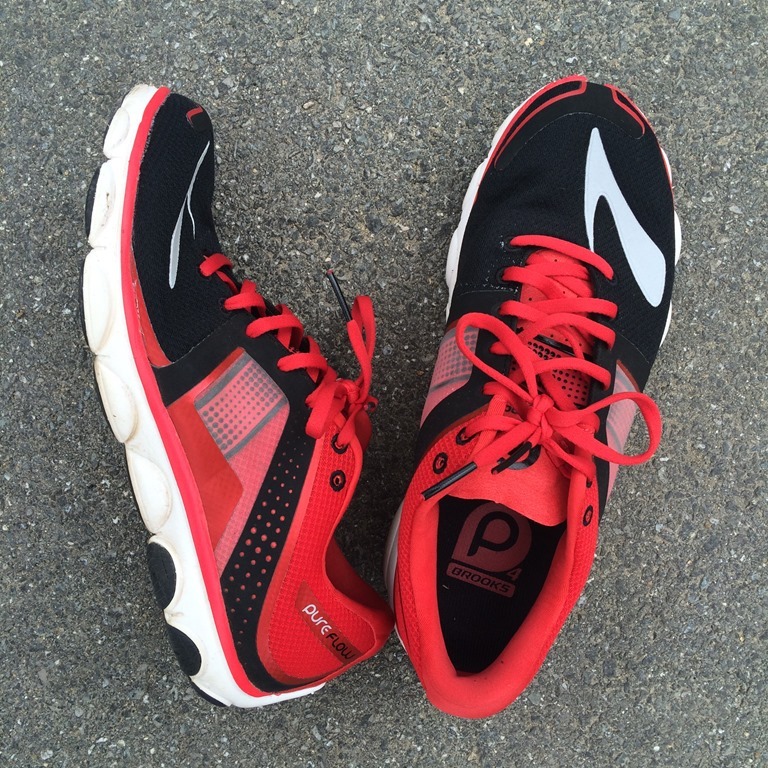 It provides the ride that I had hoped I’d get from the Brooks Launch 2 – soft and buttery smooth. 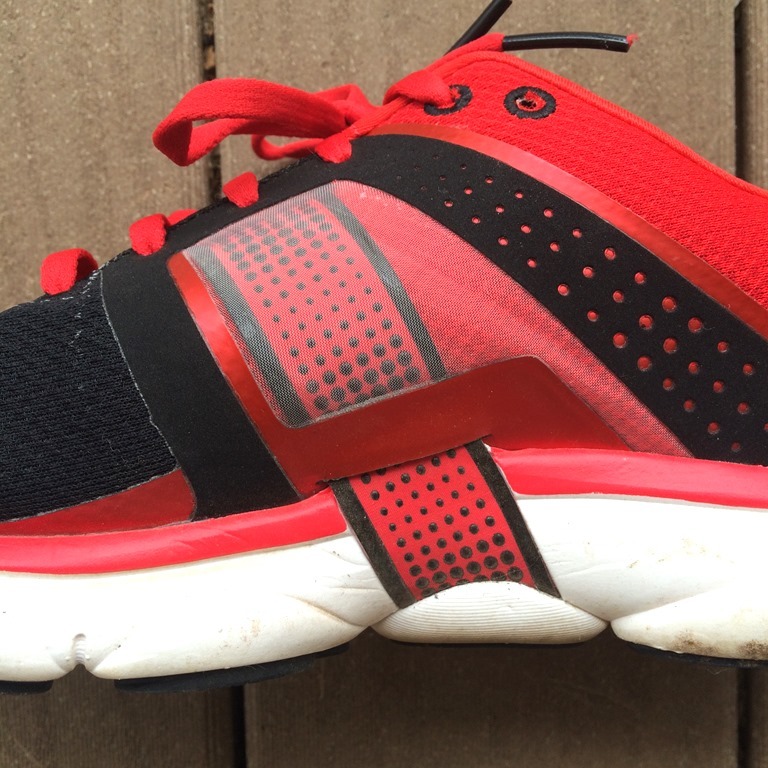 The BioMogo-DNA blend midsole is a perfect match for my stride. It’s soft on impact, yet resilient enough to provide some spring-back. The closest shoes I can compare the ride to that I’ve run in over the past few months would be the Skechers GoRun 4 and the New Balance Zante (two of my current favorite shoes). I’ve run 9+ miles in the PF4 in a single run with no issues, and would have no hesitation in using this as a marathon shoe. Another aspect of the sole that I like is the rounded-off heel. This both saves some weight, and also reduces the amount of sole that can get in the way of my stride. I wish more shoes would experiment with this type of sole design. Regarding durability, there are rubber outsole pods covering the entire length of the shoe. 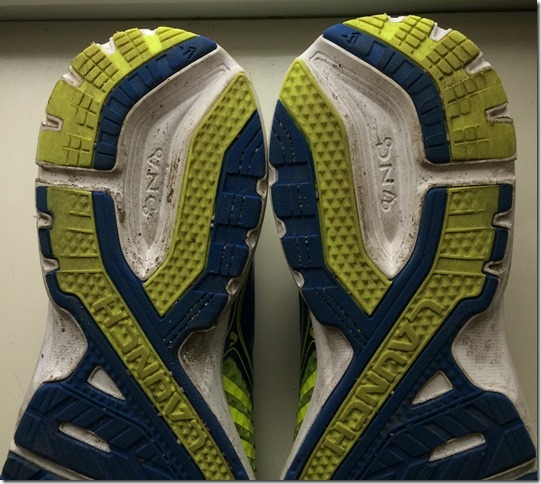 I do see some wear in my usual high-wear areas, but it does not seem to be progressing as quickly as what I experienced with the Brooks Launch 2 or Ghost 7. I expect that the PF4 would hold up well for several hundred miles. The Brooks PureFlow 4 is one of my top five shoes so far this year, and one that I would consistently grab for longer, slower miles on the road. It’s not a fast shoe, but it isn’t intended to be that. Rather, I’d call this a lightweight training shoe or a half/full marathon racer. I’d put it up there with the Skechers GoRun 4, Saucony Kinvara (just got v6 – stay tuned! ), and New Balance Fresh Foam Zante in that category – not bad considering how awful my experience with the previous version was. If you’re looking for a softish lightweight trainer that can work for marathons, the Brooks PureFlow 4 is definitely worth a try. 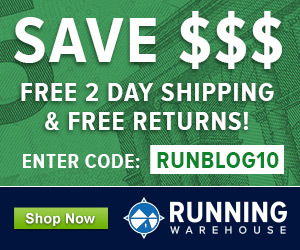 The Brooks PureFlow 4 is available for purchase at Running Warehouse, Amazon.com, and Zappos. Purchases through these links help to support this site – thanks! has anyone ever tried just removing the “nab-band?” Can’t imagine what that thing actually does. Haven’t tried it, but don’t think it would cause any problems. Okay, so just out of curiosity, I did some surgery and removed the “nav” band. I really can’t see what purpose this piece of elastic provides – big gimmick on an otherwise solid shoe. No support/lock down difference whatsoever. Good to hear, I agree it’s a pretty useless addition to the shoe. Nice review, Pete. It was interesting to read your comparisons to the Launch 2. It sounds like you don’t really much care for the V2 Launch so far. That’s too bad, the V1 is still one of my top 2 fave shoes. This PF4 sounds quite good, and I’ll definitely have to check it out. Yeah, the Launch 2 was a bit of a disappointment. The Pureflow 4 acutally feels more like the original Launch to me, though I do prefer the upper of the L2. I am admittedly out of shape at 50 years old and not much of a runner. I have had a couple pair of running shoes (Nike Dual Fusion ST2, and Brooks Pure Connect 3) that seemed super comfortable at the store but after buying them and walking around I found that my heel and ankle area hurt and became very fatigued. I don’t know if that is the best way to explain it, but if you know what I mean, is there anything I should know or look for so that I do not make the same mistake in the future? Try going to a run specialty store that will let you run a bit in the shoes before purchasing – most will allow you to do so on a treadmill or even arund the block a few times. I’m a long-time fan of this particular shoe from Brooks, have several earlier iterations, and always look forward to new updates. You briefly mention the padded tongue. I didn’t have any issues with the “burrito” tongue on earlier versions, but wondering if you have any further comments about the tongue specifically. I agree – I’m also liking the new color schemes for this shoe compared to previous years. The tongue is bit unusual in design, but no issues. Prefer it over burrito tongues. 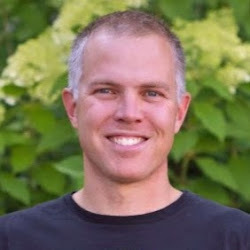 Tell Brooks to bring back the Green Silence! Without a doubt, the best shoe I have ever owned. Down to my last pair and need another shoe. Any recommendations? I’m thinking of the Nike Lunaracer+3. Appears to be the closest to the Green Silence in weight and sole/heel reminds of the Green Silence. Lunaracer probably a decent comparison, maybe the New Balance Zante as well. I love my Launch 2s and have been very happy with Brooks shoes in general. 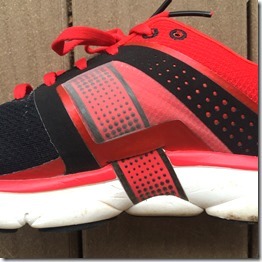 Recently I dipped my toe in the Kinvara pool, and while I LOVE the shoes, they are wearing out so quickly that they’re hard to justify even at closeout prices. So I’ve ordred some PF4s and am hoping that they end up being the perfect blend of Launch and Kinvara. I have just purchased my first pair of Pureflow 4’s for use as my main road shoe and just love them; I am a mid-forefoot striker (or so I’m told) and love the fact these give ample cushioning whilst letting me run my way. I’m a mid-forefoot striker too and often run barefoot or in my five fingers. After trying to find a pair of decent shoes (that give me something similar to the barefoot running feeling) I found the Pureflow 4. I just purchased a pair, and I have I high hopes for these shoes. I hope to run many miles in these shoes! I, like Jeff, am a midtofore-foot striker and recently purchased my eighth pair of Pure Flow’s. I began running in 2012 and was committed to keeping off my heels due to operations on both knees and long time chronic back problems. After running a couple of hundred miles in two to five mile workouts clad in Nike Free 3.0 V3’s, it was clear that more cushioning and in the correct location would be necessary. A lump beneath the ball of the of the foot was noticeable the first time that I put the Pure Flow’s on. However, after trying on other shoes, I felt that the Pure Flow’s with the lump in the correct place was the best choice for me. The surprising lack of weight in such a substantial shoe was a pleasant bonus. The shoe’s cushioning provides a solid 400 miles of comfort with little wear on the sole. It should be noted that these shoes are well suited for a mid-foot strike, but I can’t speak for other forms of running. It should be noted that these shoes are not designed for casual use or walking around in! I just fixed Nav Band problem without any major surgery. Since the laces make the Nav Band redundant, I just tried on the shoes without the laces! And surprisingly, it works! But the fit have to be just right.